WHAT IS A MACHER? DO I QUALIFY? 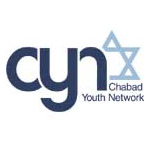 Having benefited and enjoyed CYN events throughout high school… Stay involved and give back. Machers make the news – others read it. Machers make things happen – others enjoy it. Machers chaperone trips – others come along. Machers network - others attend. Machers meet over coffee – others sleep.